Let’s keep Halloween fun for all of us - the kids and the pets! Well, just think through what usually happens at your house and in your neighborhood on the occasion of this particular holiday and with a little commonsense you can see exactly what to do - and what not to do! We can start with keeping the decorations away from your fishies’ tanks. You want to stop trouble before it can happen by not letting any foreign objects get into their water. They could try to eat something that will make them sick or kill them. There could be dye or other substances that are poisonous to your fish and it will get into your aquarium and be pumped throughout the tank in the filtration system and could have a sad outcome to the end of the festivities. We want to completely avoid anything like that happening. Your fish could be frightened by change of temperatures in your home from opening and closing the front door for Trick-or-Treaters, so try to arrange in advance to not have the aquarium by the door you will be opening and closing all night. Fish do not do well in drafts and temperature fluctuations. This is especially true in some climes where it is very, very cold this time of year. Also, guard your fish against any unusually loud noises that may come with the kids stopping by for candy or any other festivities you may have going on. They could be startled and scared to death literally. That includes any Halloween party that you may be hosting. 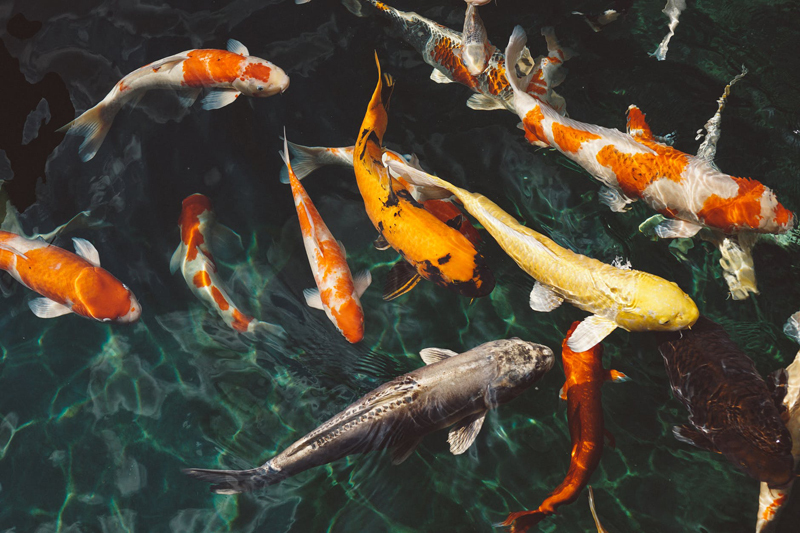 Visitors could get too “happy” and who knows what they might accidentally drop into your fish tank or what ideas they might get about your goldfish or betta fish or any other fishy kids you have at home. It’s much better for you and your fishy children if you do not allow the uproarious mob to be in the same room with your beloved fish. You’ll be protecting them all night and not able to enjoy the party and when you wake in the morning to clean up the crepe paper and spilled punch, you definitely do not want to find anything else spilled or otherwise spoiled. You’ll have a much better time if you take all precautions well in advance. I advise a “Look Politely From A Distance, But Do Not Touch, Please.” sign, too! Well, maybe you are the only person on Earth who has entirely perfectly well-behaved friends and family, but it’s better to be safe than sorry since your fish mean a lot to you. When you keep fish, you start to realize that they love routine and have certain requirements for living healthily and that this is specific to the type of fish you keep. You know that they are very aware of your presence and even wait for you and love you, so let’s give them the same love and loving awareness. Happy Fish-oween!